Speed Limits are applied to all roads, certain weight limits are in place, where necessary, and restrictions on the movements of abnormal loads are also in place. It is important that all of these various regulations, restrictions and limits are enforced so as to allow for a maximum possible use of the network. In addition to this, the safety of all road users and pedestrians is paramount when applying these regulations and limits. Road and Bridge Authorities require notification and indemnity details for all abnormal load movements in their area. The normal size and weight limits of vehicles are contained in the Road Vehicle (Construction and Use) Regulations 1986, and it is unlawful to exceed these limits without giving appropriate notification to the relevant authorities. 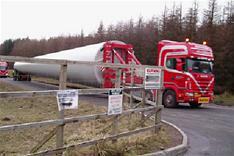 All notifications for West Lothian should be sent by e-mail: structures@westlothian.gov.uk (mark clearly Abnormal Load in the Subject Heading). 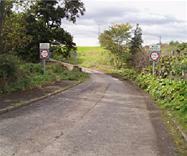 There are some 742 bridges located throughout West Lothian. Of these, 4 currently have weight restrictions in place. Restrictions are subject to a Traffic Regulation Order (TRO) and the associated procedures. Regulatory signs are erected on site to give effect to the TRO and to assist the police in carrying out its enforcement but they need to be backed up by advisory signing giving early warnings to drivers that a particular route is restricted.